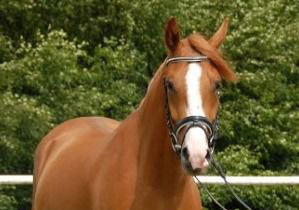 Here is a selection of our ridden horses and ponies for sale currently. 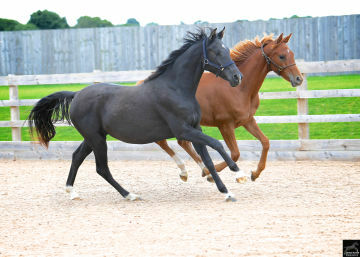 We may also have foals for sale and other unbacked youngsters which are not currently listed. If you are looking for a youngster please get in touch, alternatively, if you want something special and we do not currently have something we are able to enquire from sources in Germany. PLEASE MESSAGE WITH NAME OF HORSE/PONY YOU ARE ENQUIRING ABOUT. Various unbacked and just backed youngsters. Please have a look on the details of our ponies and horses and enquire if one interests you. 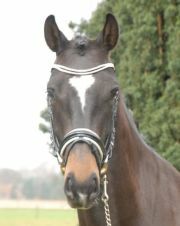 Fantastic Zack x Dimaggio gelding 16,2hh, Oldenburg, bred in Germany, 6 years old. "He is absolutely charming and she can do everything with him without my help at all!! "